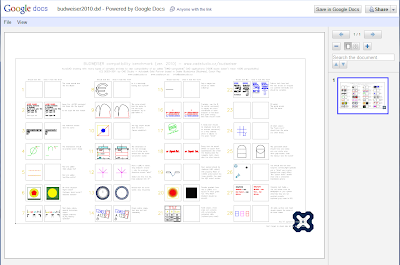 The online viewer associated with the Google Docs storage now understands 12 new file formats. 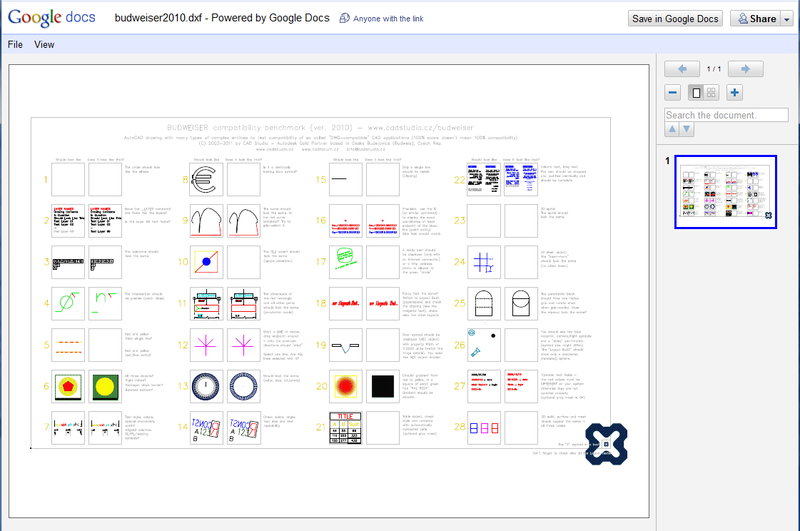 The Google Docs Viewer is traditionally used to display e-mail attachments for Google Mail accounts. But you can use it to display any office and image files in the most common formats (DOC, XLS, PDF, PPT, RTF....) - without any desktop viewer, just in your web browser. See our example - the DXF version of the Budweiser.dwg compatibility benchmark drawings. As you can see in the benchmark, not all object types are interpreted properly, but the viewer works well for standard entities. Display Budweiser.dxf in Google Docs Viewer.